Order in next 4 hours and 7 minutes for despatch today. These Barbour socks have a terry looped construction throughout, which gives them a luxury feel. It's like walking on shag pile carpeting! 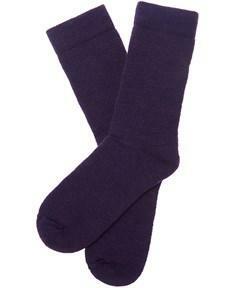 The Barbour Ladies' Boot Sock is made from 53% wool, 36% Polypropylene, 9% nylon, 2% Elastane. Leg length 10 inches (25cm). The sock for wearing inside wellies or hiking boots. Also ideal festival wear for Glastonbury! Make your choice of size and colour from the pull down menus below. Medium - UK 6 to 8 (Euro 39-42)SALE! If you order a product which is out of stock we will place it on back order and aim to ship it within 7-10 days. We do not take money until we ship. This Walking Boot Bag from Barbour helps keep the boot of your car and your wardrobe clean. Made in green texturised nylon with PVC base. Suitable for most types of walking boot and sports boot. The Barbour Walking Boot Bag features; carry handle and zipped flap. The Wellington Boot Bag from Barbour helps keep the boot of your car and your wardrobe clean. Made in green texturised nylon with PVC base. Suitable for all Barbour wellingtons and for most other makes of wellington boot too. The Barbour Wellington Boot Bag features; carry handle, shoulder strap and zipped flap.